For kitchens with limited space, Panasonic provides optional built-in trim kits which allow you to neatly, and securely, position a Panasonic microwave oven into an open area or wall of your kitchen. Each kit includes all the necessary assembly pieces and hardware to give your Panasonic microwave oven a custom finish look. 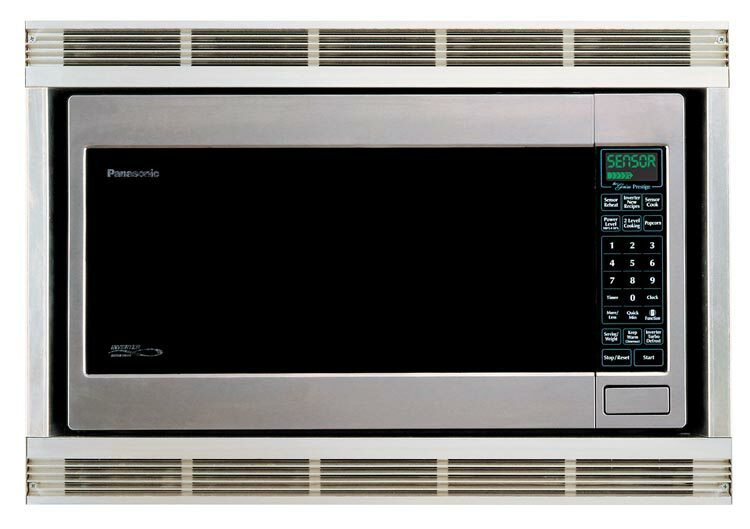 The Panasonic trim kits are available in black, brushed aluminum and white to match your Panasonic microwave oven. Use the chart below to match the microwave to its respective trim kit model number as well as the dimensions and required cabinet opening. of your trim kit, please refer to the user’s manual of your microwave oven.